Coloring and drawing are some of the first ways children express themselves. It’s fun, easy, and even if initial attempts are not much more than scribbling, there is no denying that creativity and imagination are developing! You can find all kinds of articles and charts about when your child should start coloring if that’s your thing…. And of course even in such a seemingly simple pleasure there can be controversy about the importance and benefits of this activity. But really….isn’t it just fun? Lately, even adults have gotten in on the act. Adult coloring books were one of the “it” gifts for Christmas 2015 and the #grownupcoloring hastag is popular on lots of social media outlets (Pinterest , Twitter, Instagram, Tumblr, and more). Adult coloring centers are opening at libraries and many workplaces offer coloring stations in their break areas. I even was seated next to a passenger on a recent flight who was getting in on the action. 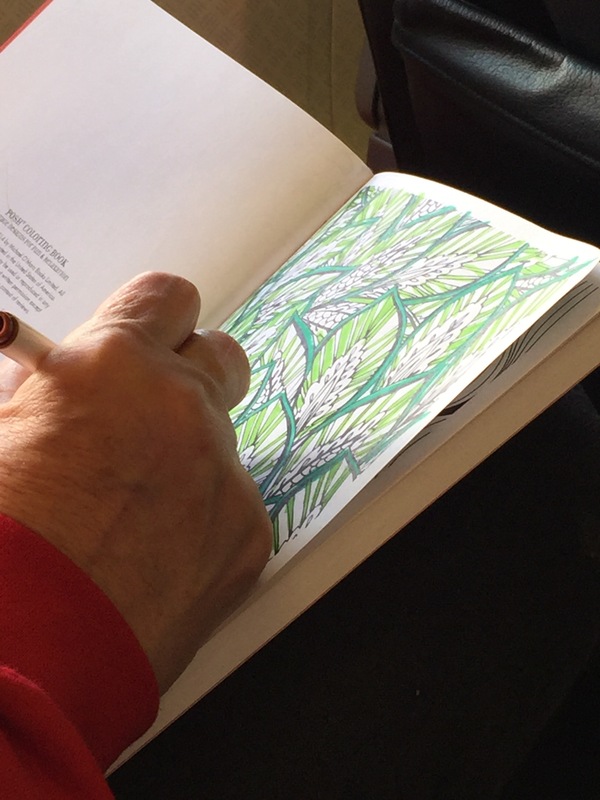 Adult coloring has been touted as a stress reliever but of course this comes with more controversy… “Are adult coloring books the stress relief tool they’re hyped up to be?” You can decide for yourself. But I digress. 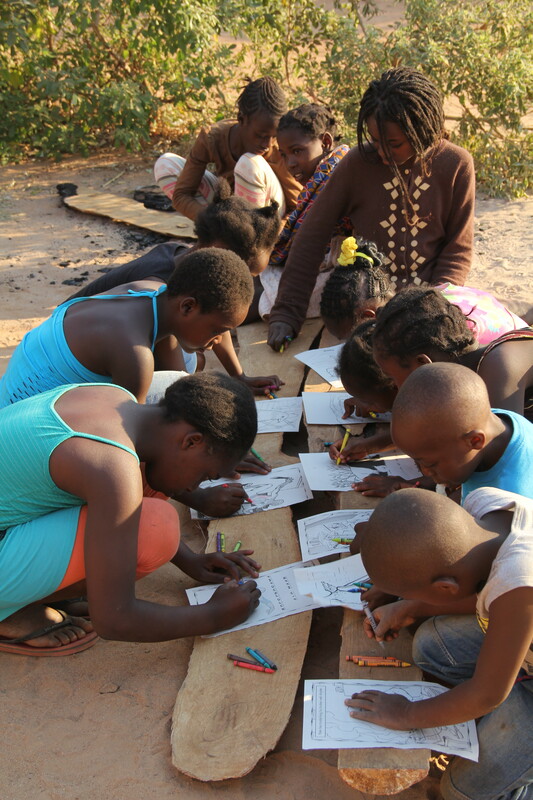 On a recent volunteer trip to Zambia with Habitat for Humanity’s Global Village Program, I witnessed the joy of coloring first hand. During my stay I spent one week living with 13 other volunteers in a very poor (by monetary standards only!) rural community. The children were naturally curious about the foreigners who were visiting for the week and our house was a mob scene every day – in the best of ways. 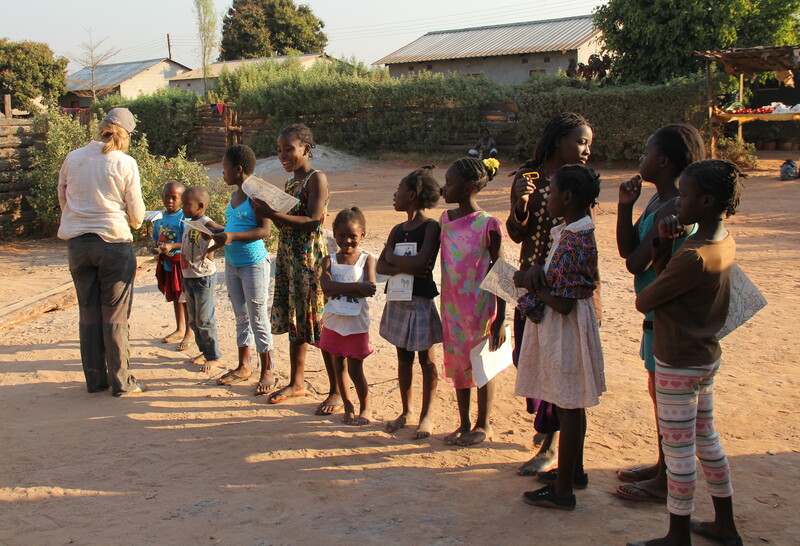 🙂 We were escorted to and from meals and work by hoardes of children who wanted nothing more than to hold our hands and practice their English. And each night when we came home, there were many curious eyes watching our every move. 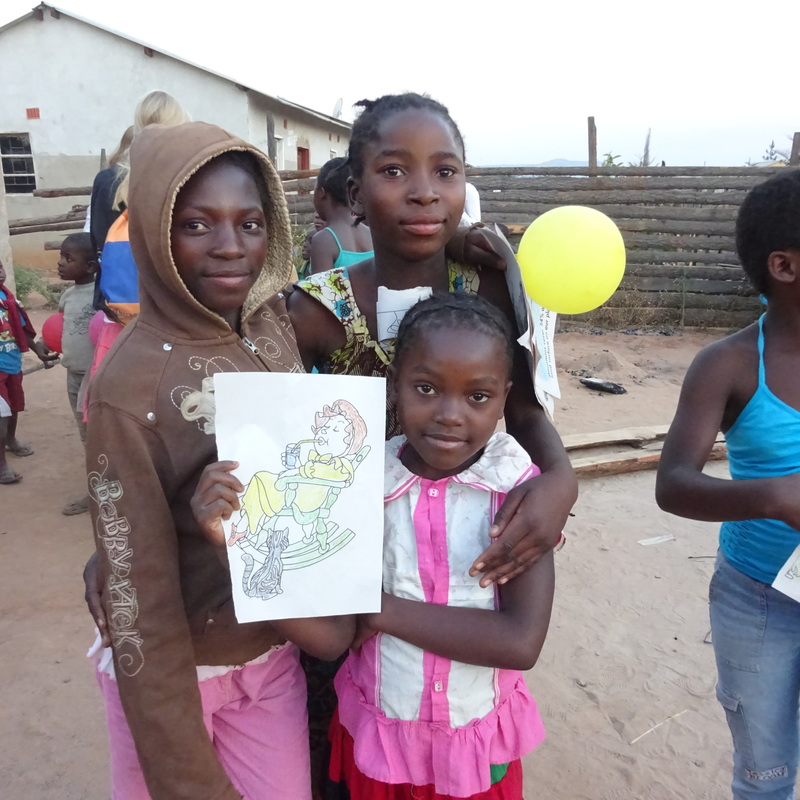 One night, we had a surprise for them – coloring books! We brought them out and immediately the joyful ball tossing, jump roping, chasing and laughing stopped. Silence descended on us all and eager eyes were glued to the prize. Next they were asked to choose a “Spiderman” or “Animal” and one coloring book page was given to each child. Nobody ran off. Still standing perfectly still in line… A few milled planks were in the yard and served as a table for the kids. We distributed a few crayons and let them have at it!